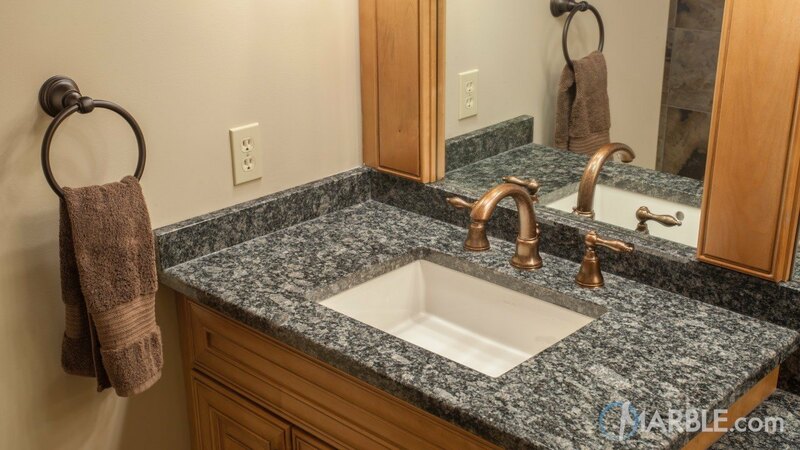 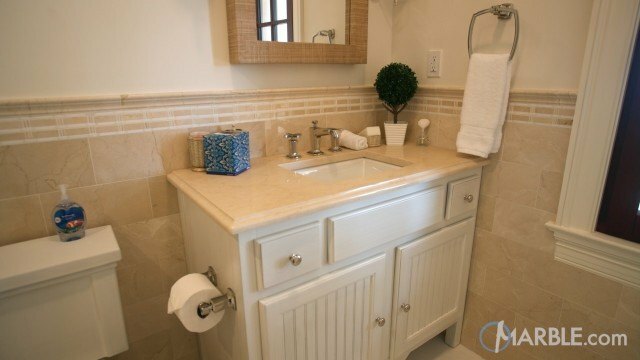 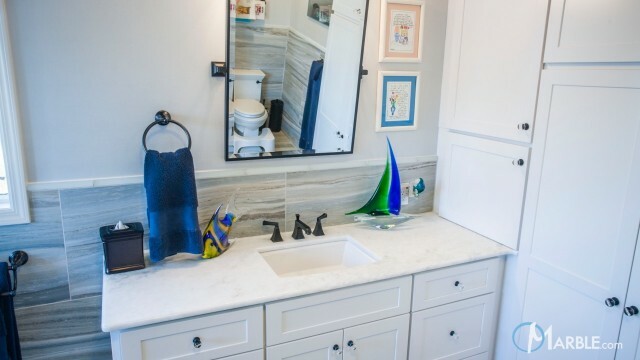 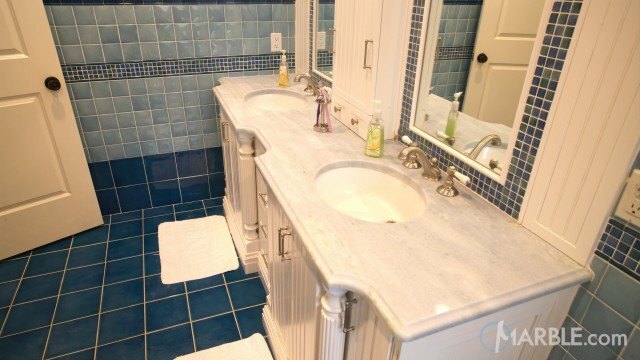 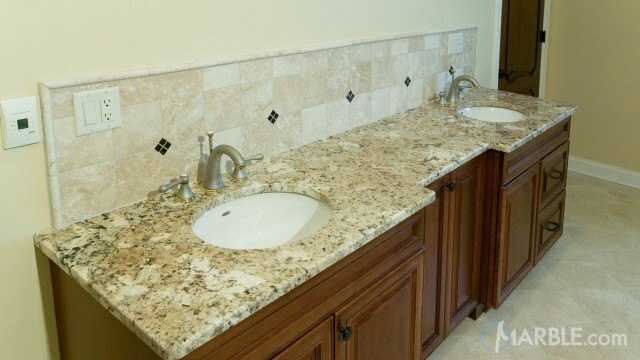 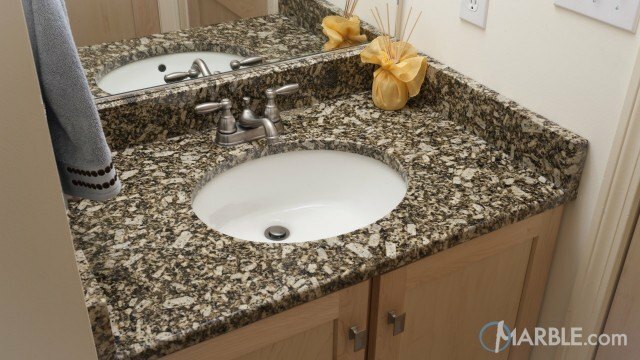 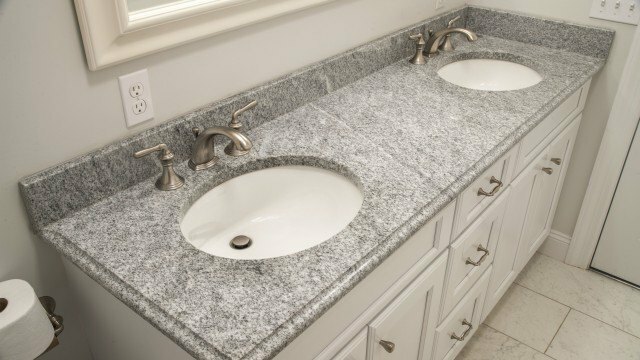 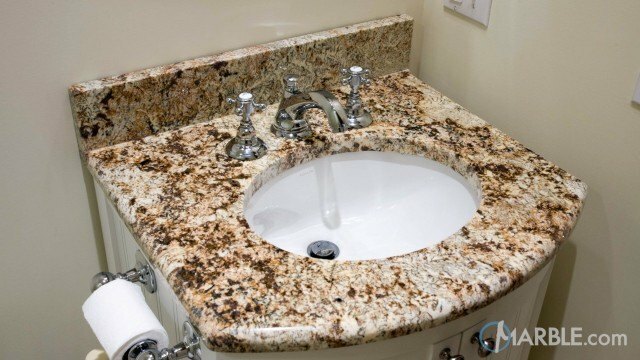 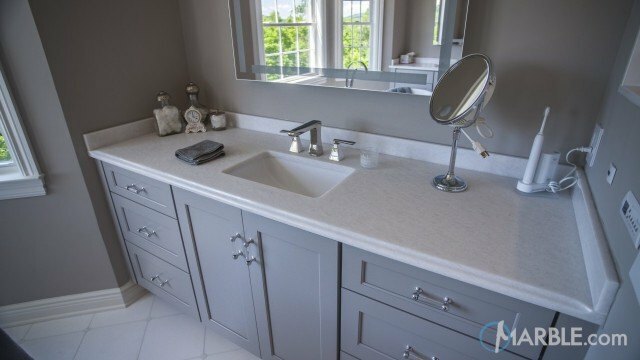 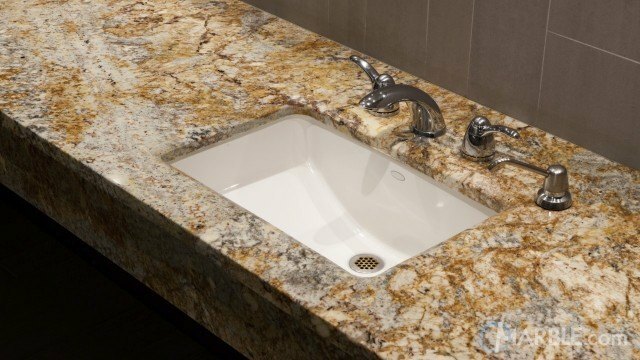 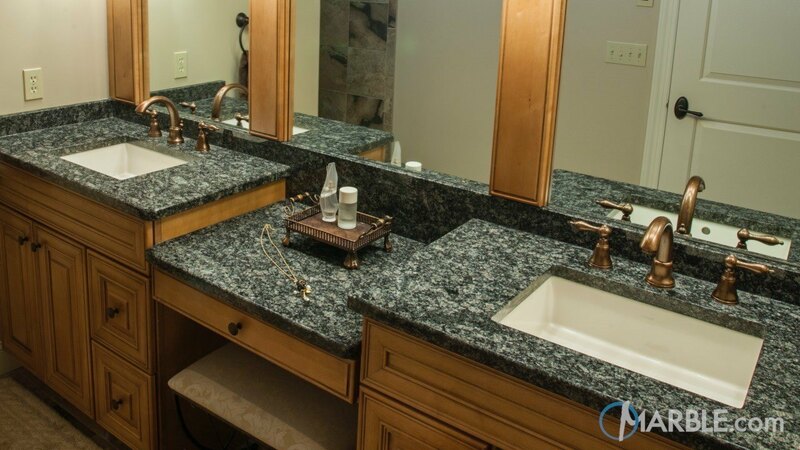 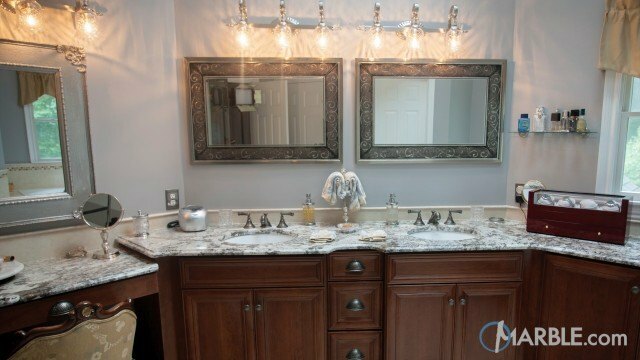 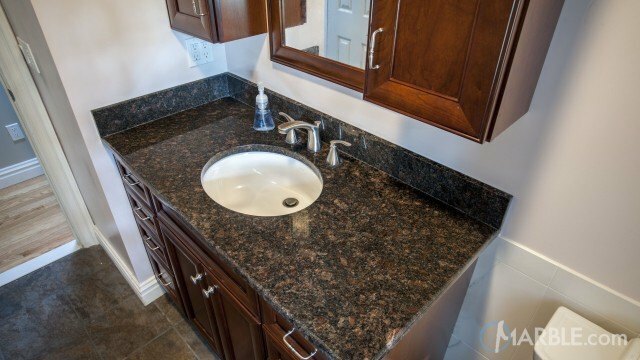 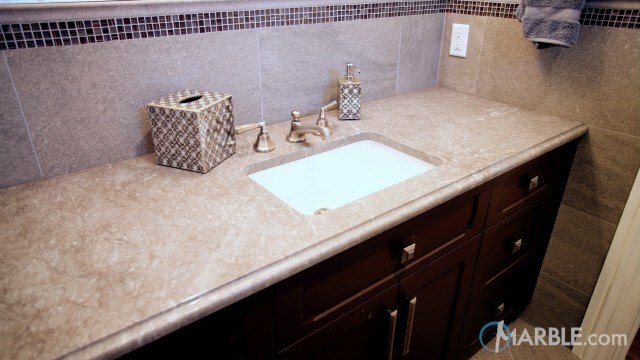 These his and her sinks are decorated beautifully with White Fiorita granite. 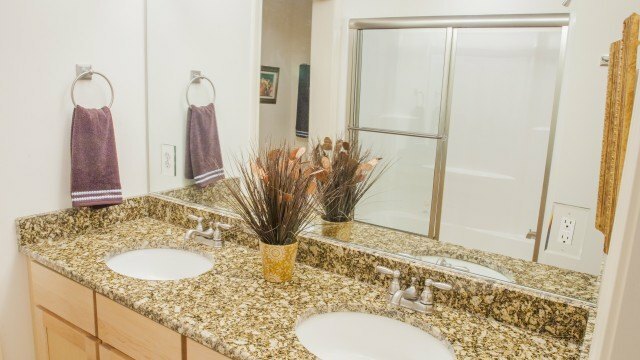 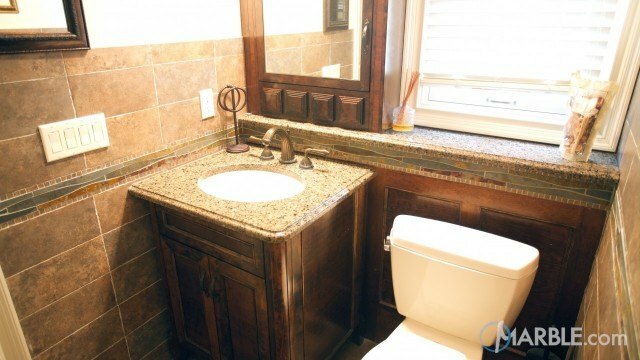 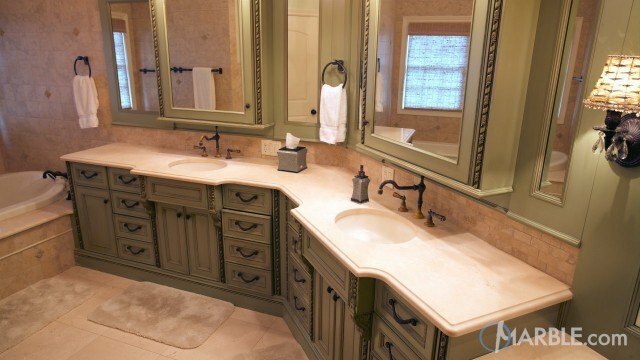 What makes this bathroom unique and a great use of space is the makeup sub divider in between the sinks. 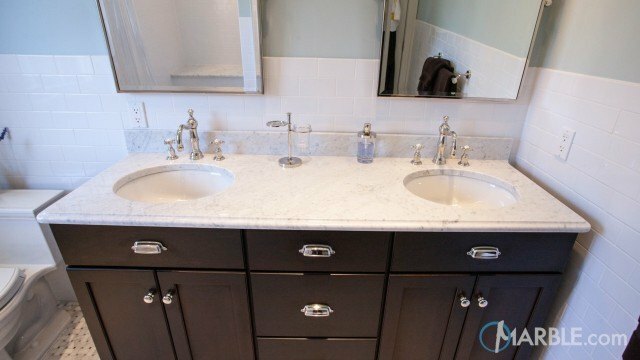 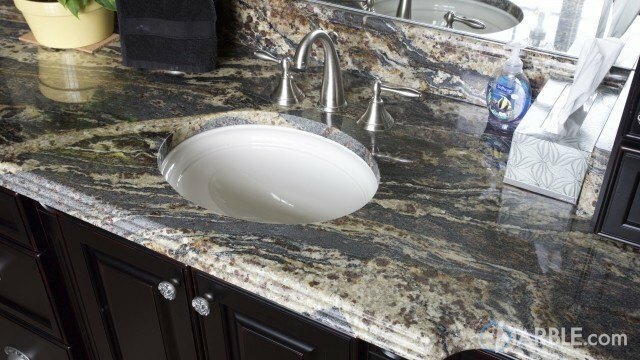 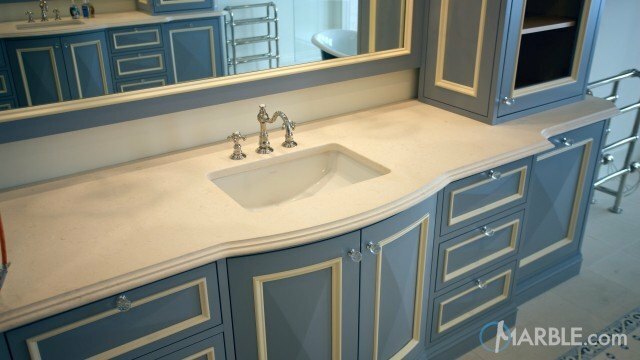 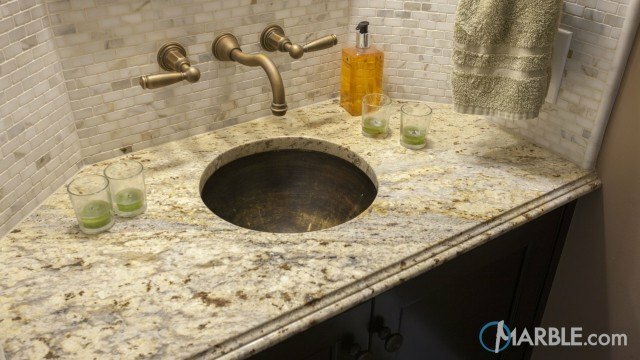 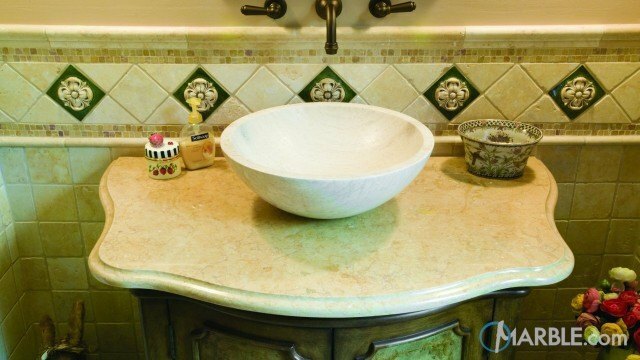 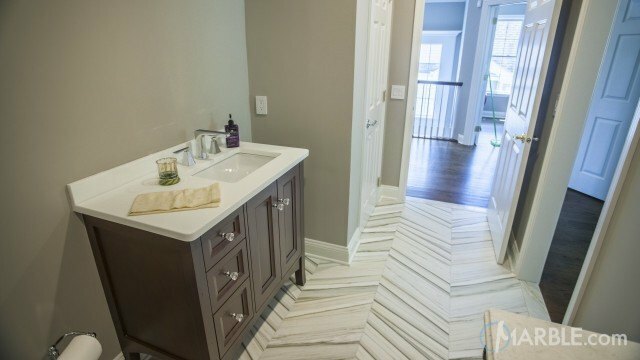 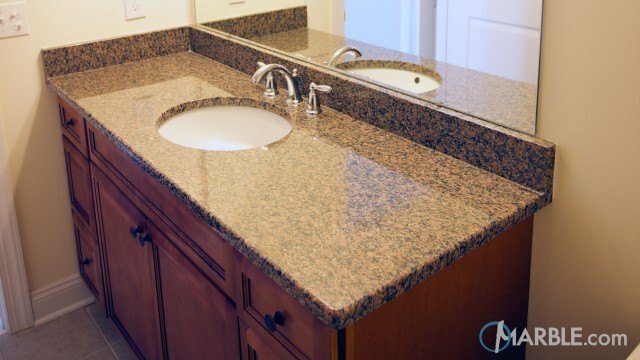 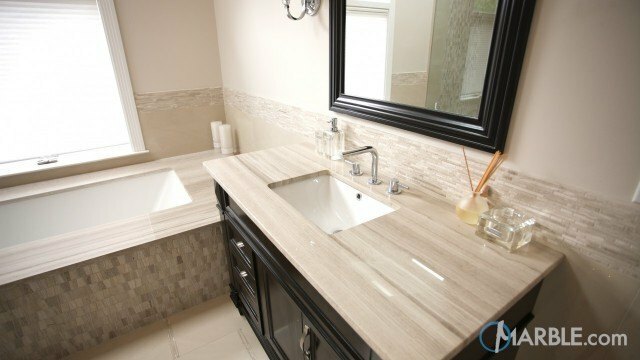 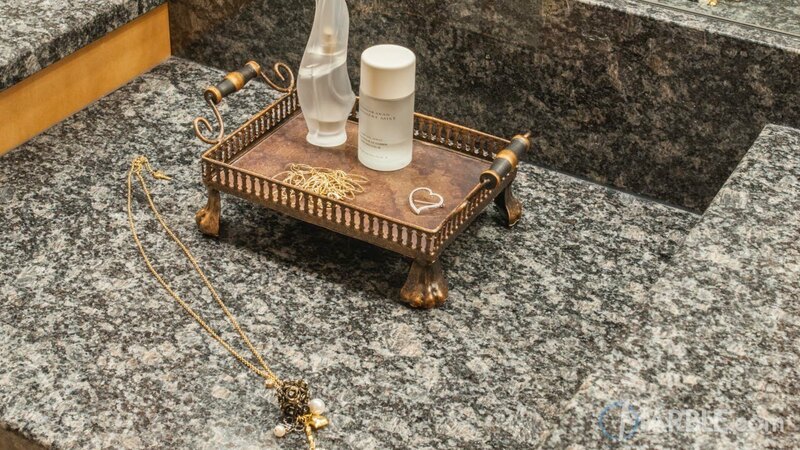 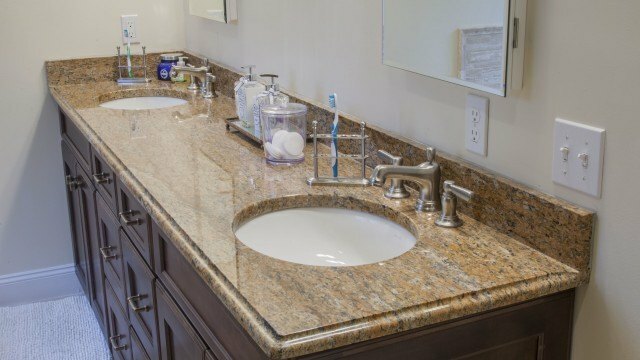 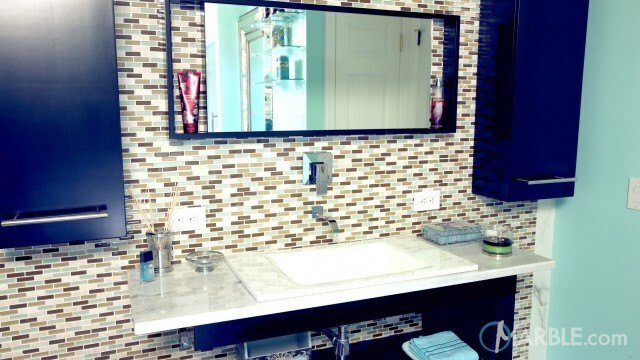 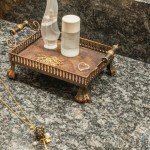 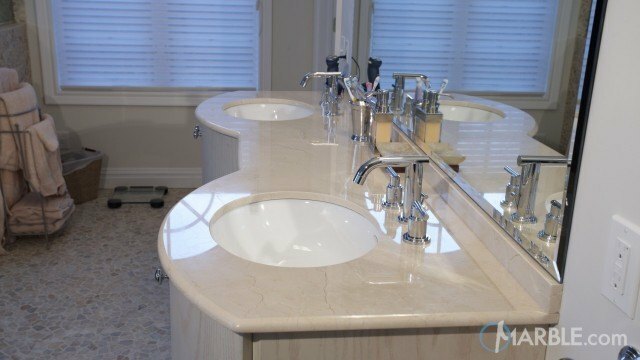 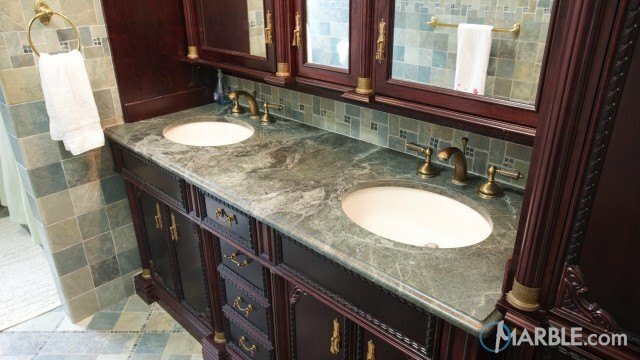 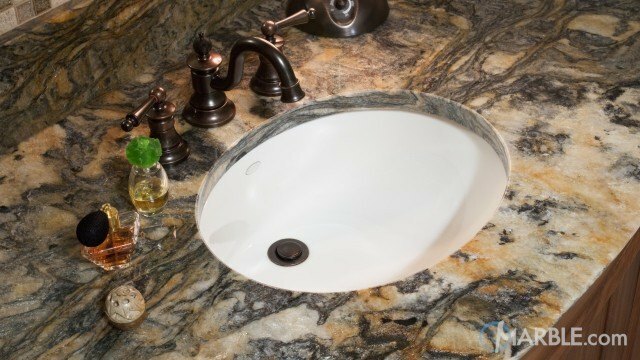 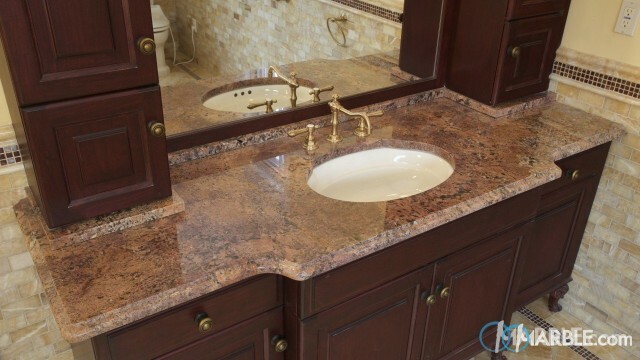 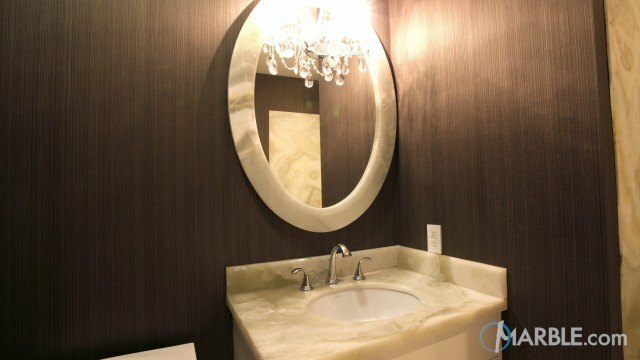 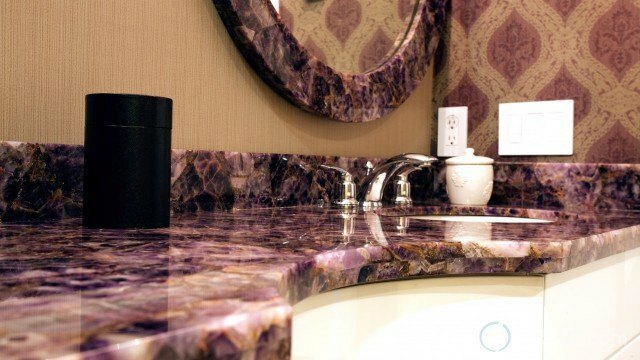 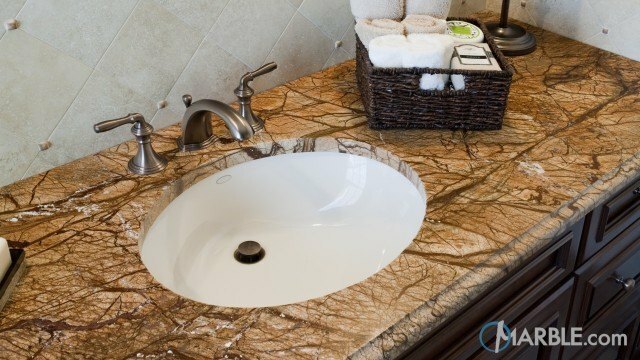 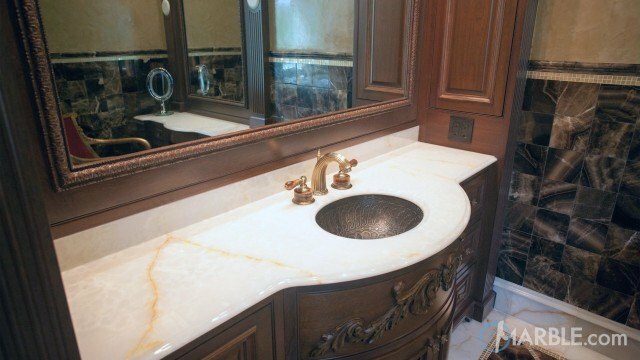 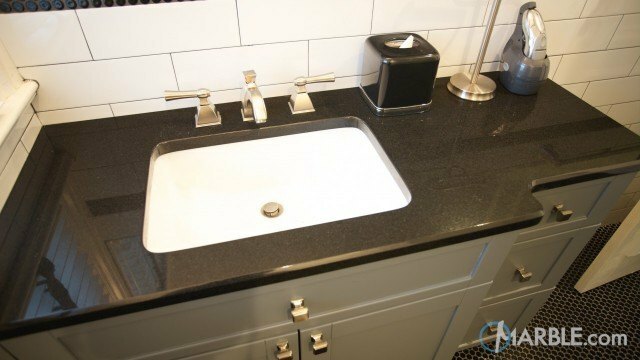 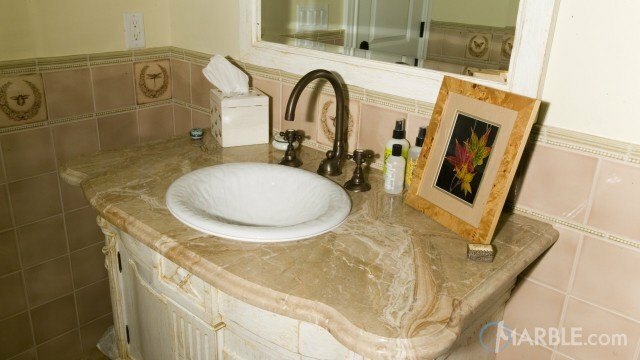 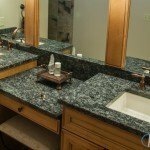 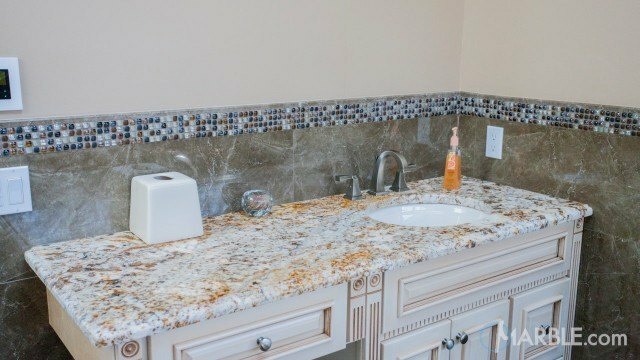 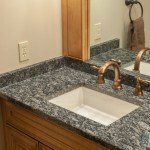 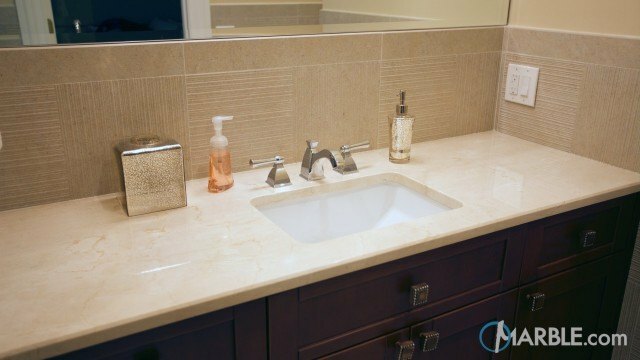 With over 2000 colors to pick from, Marble.com is sure to have your perfect counter top or vanity.